Did you send a wrong message to a group and you want to delete it immediately on your iPhone or Android devices? 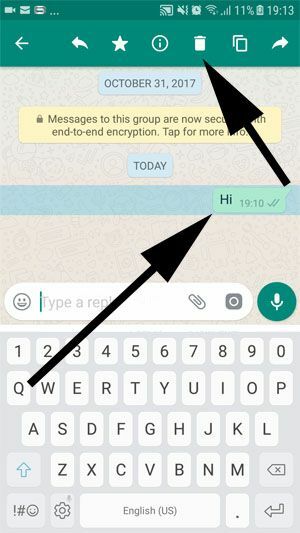 New delete message feature of WhatsApp will help you to do that. However people will notified that the message has been deleted. If you don’t know how to use this feature of application, you will find a step by step guide with pictures on this page. Please let us know if you have any questions. Let’s begin to tell you how to do that. By the way you can also do these steps for group chats (for your own messages), you don’t need to be Admin for that. Important: If you ever want to delete a message for everyone, you will need to do it after a few minutes that you sent the message. Otherwise this feature won’t work. If I Delete a Message on WhatsApp, Other People Know About It? This guide is for the android devices, please scroll/swipe down for iPhone or other iOS devices. 2-) Tap on the Group chat or a chat of contact that you want to delete message for everyone. 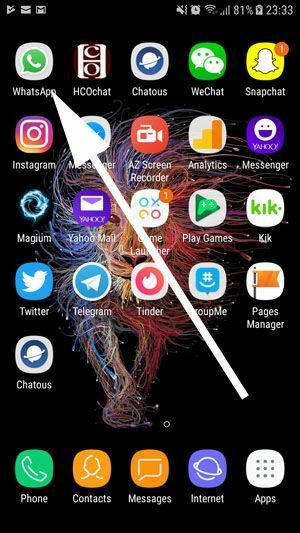 3-) Tap and hold on the message you want to delete until you see the menu at the top of the app and then tap on trash can icon. Please see the picture below. 4-) Tap on the “Delete for Everyone” button on the pop up menu which will appear on your screen. 5-) Now your message has been deleted. If other people didn’t read it before, they will see “This message was deleted” notification on the chat screen and you will see “You deleted this message” as same as the picture below. 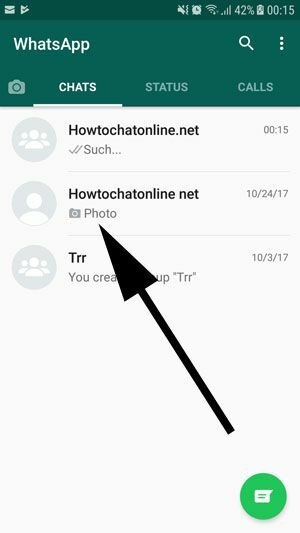 2-) Open a chat that you want to delete message for everyone. 3-) Tap on the message that you want to delete and hold until you see the black menu which will appear on your screen. Tap on the arrow on the menu. 3-) Tap on the “Delete” on the menu. 4-) Select messages that you want to delete for everyone. (Please do not forget that it will be a recent message for deleting it for everyone.) Then tap on the trash can icon at the bottom of the page. You can see the picture below. 5-) A menu will appear on the screen and there will be some options. Please select “Delete for Everyone” as we have shown at the picture below. This is all you need to do for deleting messages on Android devices. You can also look at our iOS guideline, please swipe up on this page. If you have any questions regarding this subject, you can comment at below. I would like to delete some message in group chat. However this messages already removed at the chat screen of my friends or they get something like notification when I delete these messages? I need your guidance about this problem. I need to remove these chats as soon as possible. With new update of WhatsApp, you can delete messages for everyone. However people will able to see that a message has been deleted by you. Thanks for the question and welcome to How to Chat Online. The answer of your main question is “No, they don’t know anything about that”. You can delete any message you want. If you would like to remove these messages from your device at all, you can also delete message from your phone permanently. When you delete a message on your device, no one is getting notification nor a message about that. They will see all conversation on their phone and they won’t understand what you have deleted from your phone at all.